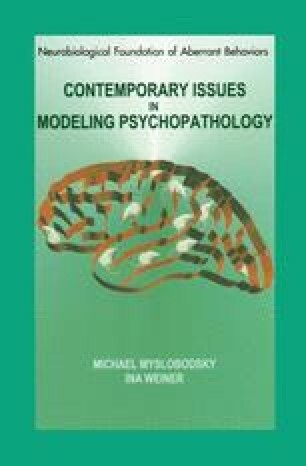 As detailed by McKinney (1988) and Willner (1991), there are several ways of going about building an animal model of psychopathology. The LI model of schizophrenia begun its way with mimicking a widely documented behavioral manifestation of the disorder, an inability to ignore irrelevant stimuli (face validity) coupled with a central neurotransmitter dysfunction postulated to occur in schizophrenia, i.e., dopaminergic (construct validity). The development of the model included its extension to normal humans and schizophrenia patients on the one hand, and an analysis of the underlying neural and cognitive mechanisms in the rat model on the other hand. I believe that the results of these lines of LI research have now converged to provide interesting leads on the neuropsychology and pathophysiology of schizophrenia, at present largely speculative, but ripe to be tested in the clinic.